Precision Security Of Oklahoma offers you comprehensive and professional services that are individually tailored to meet your needs. You can place your trust in our reliable services. We can definitely find the right solution for you! Do you need professional service that is quick and individually tailored to meet your needs? With Precision Security Of Oklahoma, you've come to the right place. We would be happy to help you further with our professional services. Take a look at our website and see what we have to offer. We offer a full line of Honeywell Total Connect services! Download and install on your phone. For our expertise in assuring your system is perfectly suited to your environment. Monthly monitoring contracts. Or Annual contracts which include system installs. Find out what people are saying about us on Facebook. 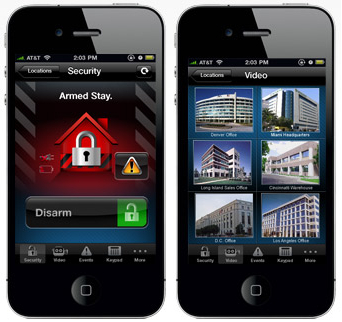 Couple your security system with digital door locks to let housekeepers or plumbers in.